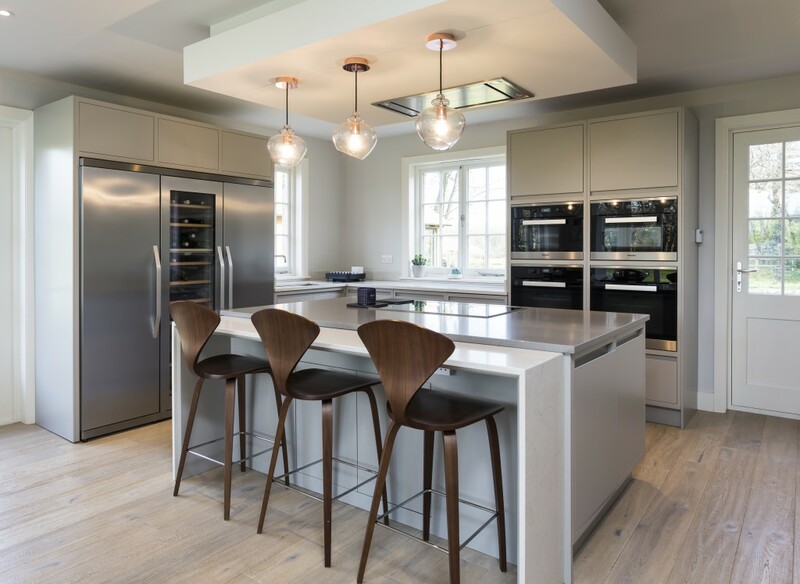 Janine and Mark Harris who live in Welwyn recently had their new kitchen featured in the May edition of national magazine Ideal Home. Janine says that John Ladbury and Company were recommended to them by friends and on visiting the showroom she immediately saw the kitchen she wanted. 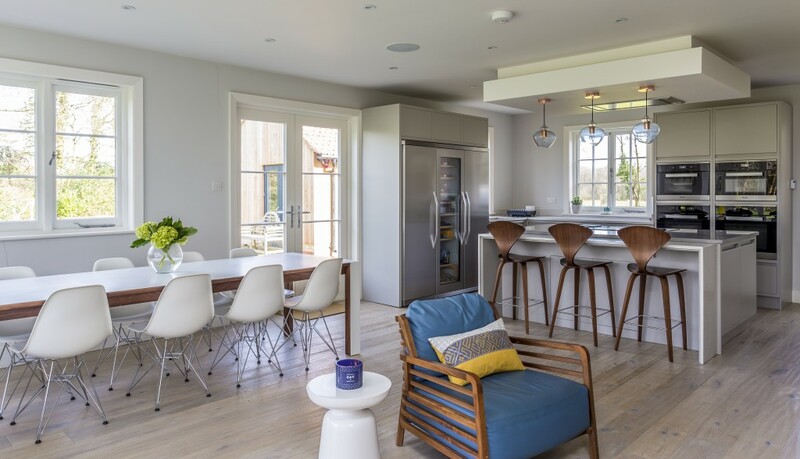 The Harris’s new kitchen was designed to be contemporary with traditional elements to complement the style of their 1930’s house. Their plan was to extend the part of the house where the new kitchen was to be fitted as the current kitchen was a tiny, dark galley kitchen. Once they had settled on an architect and a builder they decided to move out to enable the work to be done as quickly and easily as possible. The Harris's now have a beautiful kitchen dining room that overlooks the garden. One year later the extension and the kitchen were finished and the family love it. Janine says ‘Everyone loves this part of the house now. 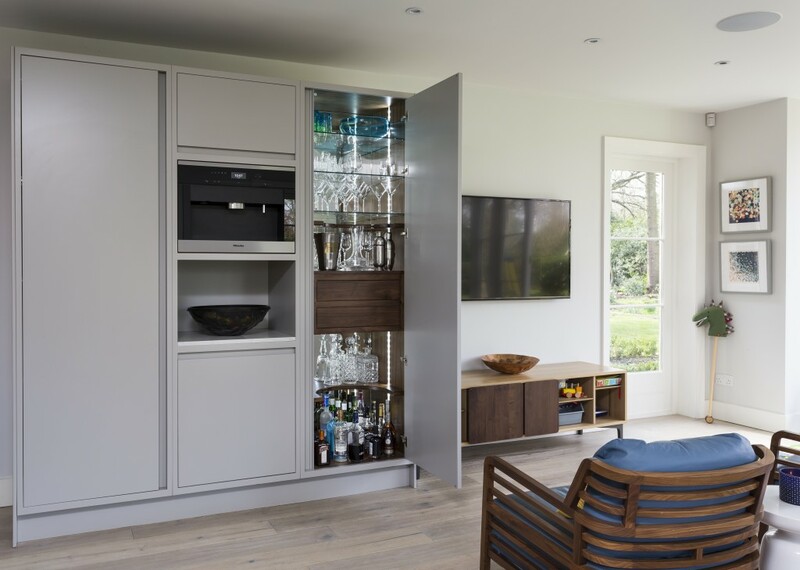 It’s the space we use the most.’ The extended living area incorporates a Miele coffee machine and a mirror-lined walnut built-in area to house glasses and drinks. The marrying of old and new works beautifully in this 1930’s family home in Welwyn Herts.